Paderna Cantilever Dining Chairs from RedTree Furniture are comfortable, stylish and suitable for both modern & traditional Dining Tables. 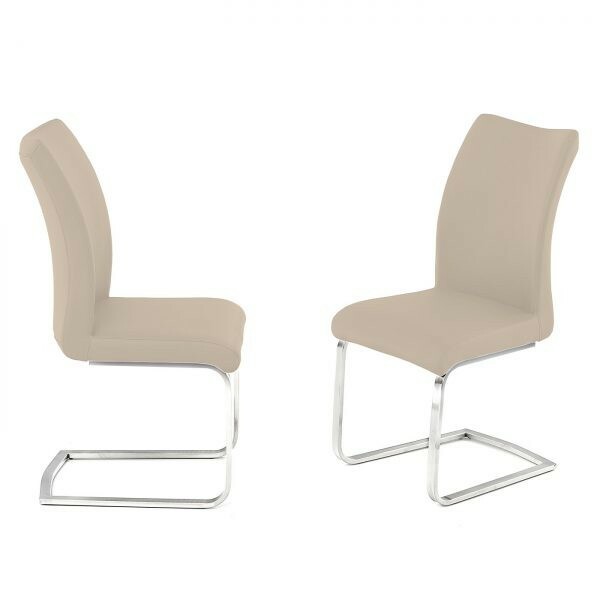 The metal frames, together with curved seats, offer a truly comfortable seating position. The wide selection of different hard-wearing PU Colours available make this a great choice. The exquisite seats are available in Deep Grey, Cream, Black, White & Light Grey. Practically designed, any spills or stains can be simply wiped away. Paderna Cantilever Dining Chairs from Red Tree Furniture are comfortable, stylish and suitable for both modern & traditional Dining Tables. The metal frames, together with curved seats, offer a truly comfortable seating position. The wide selection of different hard-wearing PU Colours available make this a great choice.